Council’s Significant Tree Register defines significant trees as “those trees that make a major contribution to the everyday landscape and are therefore of special value to the community”. ensure the involvement of the community and other stakeholders. Click here for the current register. 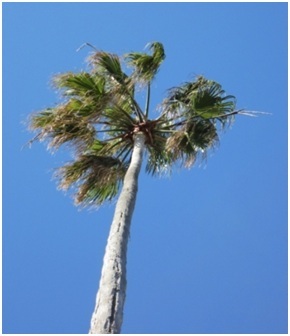 All listed significant trees as of 2012 can be found here. Individual trees are also listed on Section 149 certificates and on the e-planning maps on Council’s website. Minor works, such as dead wooding and branch removal to a maximum percentage of 10% will require a tree permit application with the tree owner’s signature. Repeat applications within 3 years of the first permit will require a development consent. Adjacent neighbours will be notified of the permit application if approved. Major works requiring major pruning of branches or roots or proposed removal will require the lodgement of a development application with an arborist report. The report must be from a consulting arborist (AQF Level 5) and be accompanied by a heritage impact report for heritage listed trees. Notification would follow the same procedures as for all development applications. Proposed development within the tree protection zone of a significant tree will require an Arboricultural Impact Assessment to be presented as part of the development application (see Australian Standard AS 4970 - Protection of Trees on Development Sites). A tree on my property has been added to the Significant Tree Register. Does this mean the tree can’t be pruned? Approval for any work would require a tree permit application. Any major root or branch pruning would require a more detailed report from a consulting arborist and may require the lodgement of a Development Application. My neighbour has a significant tree on their land. Will I be notified if they intend to prune, remove or undertake development near the tree? For any work on or near a significant tree the property owner would be required to submit a TPO for minor works or a Development Application if it is considered major works. Adjoining neighbours would be notified of any development application through the development application process and invited to comment. Any application to remove or substantially prune a listed significant tree may be subject to a report to Council for a final decision. I’ve nominated a tree but it wasn’t considered significant. Will there be any other protection for that tree? 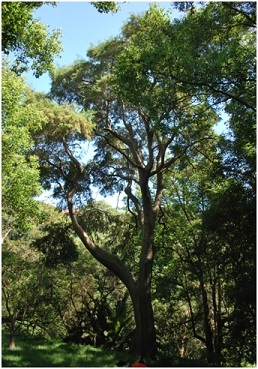 Not all trees nominated will meet the criteria for inclusion on the Significant Tree Register. However, all trees over five metres high are still protected under the Waverley Development Control Plan. Part B5 – Tree Preservation. What restrictions are there if I want to develop my property? If a proposed development comes close to the root zone of a tree on the Significant Tree Register a consulting arborist’s report will need to be submitted with the Development Application. Check with Council’s Tree Management Officer prior to lodging the application. Will I be expected to maintain a tree on my property if it is included on the register? Will Council assist in the cost? Tree owners would be expected to maintain and preserve any listed tree. Any pruning is to approved by Council and undertaken by a qualified arborist in accordance with Australian Standard AS 4373: Pruning of Amenity Trees. Unfortunately, Council cannot assist in the upkeep of a tree but can provide arboricultural advice.